HOUSTON CLOWNS, HOUSTON FACE-PAINTERS, HOUSTON THEME PARTY CHARACTERS, AND BALLOON ANIMAL TWISTERS TOO! 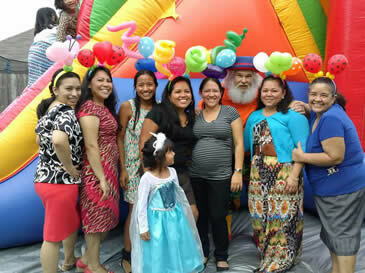 You want the best Houston clown available and the best children's entertainer for your child's party. Whether you need a face painter, clown, theme party character (i.e. cartoon look-a-like), or all around clown entertainer then your searching is done. You now can have an award winning children's party entertainer, balloon twister (animal balloons), comedy magician entertainer/clown at your child's special birthday party event. You can have a clown that combines all forms of entertainment including: comedy magic, juggling, face painting, balloon twisting and puppetry. This is where you can find all that and more. 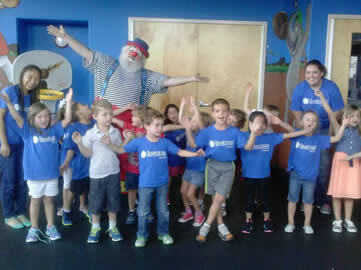 We provide only the best kids entertainers that Houston has to offer and have had over 25 years of experience booking children's birthday parties with clowns, face-painters, balloon twisters, cartoon characters, and magicians. Our client base is large and varied. 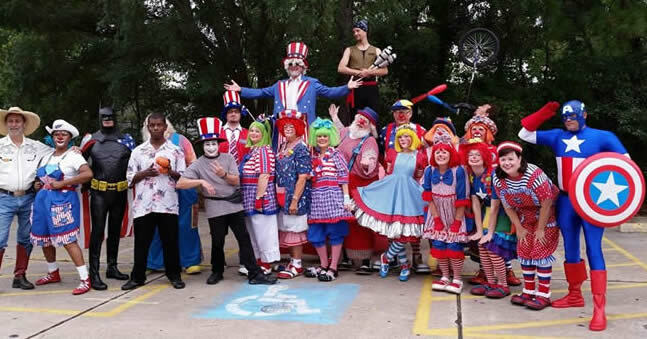 Our clowns and entertainers will travel throughout the Houston metropolis area and neighboring communities.